Strangers Thing Season 2 is coming next month, are you excited? After a great response in Stranger Things season 1, they are coming back with some more interesting stories. 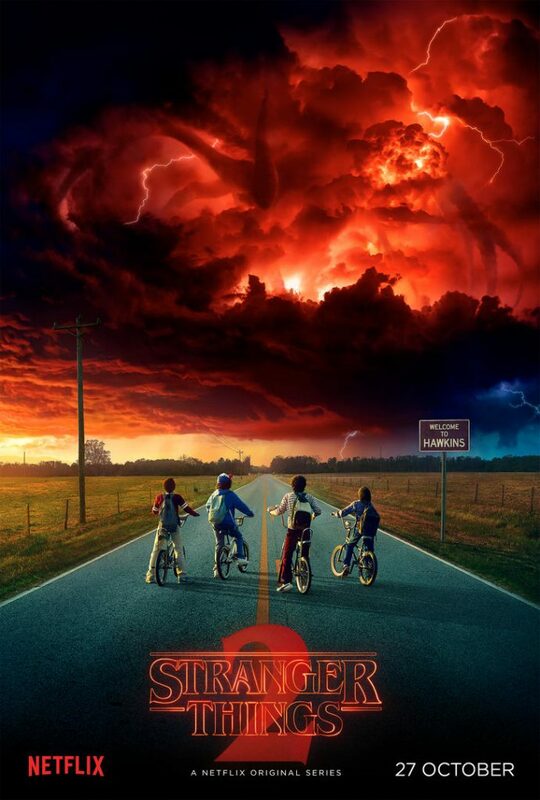 Yeah, its official, Stranger Thing season 2 has got green signal. This is pretty amazing news for all series lover who loved to watch Stranger Thing season 1 and are waiting for the next season to air. This Halloween, you all are going to get a perfect gift from Netflix. To know Stranger Things season 2 episode list, air date and cast, please read on. Revealing Stranger Things season 2 episode titles in regard to give you hint about where we are going in the second season. The Duffer Brothers, Shawn Levy, Andrew Stanton and Rebecca Thomas are producing the complete season 2. Stranger Things season 1 was with total 8 episode but its good news for all the fans that this season will be little bit big containing 9 episodes. Netflix has revealed their 9 episode list of Stranger Things in a slideshow while series announcement. So what are the Stranger Things season 2 episodes tittles? Netflix has already revealed Stranger Things season 2 air date and its October 27. So you can finally watch the second episode of Stranger Things season 2 on you device if you have Netflix subscription. What if you don’t have access of Netflix? How to watch Stranger Things season 2 online? There are some ways you can watch Stranger Things Season 2 online or you can download in your device. The new trailer of Stranger Things season 2 is been rolling out and people are loving it. This is the first trailer for Stranger Things 2. It’s 1984 and the citizens of Hawkins, Indiana are still reeling from the horrors of the demogorgon and the secrets of Hawkins Lab. The first trailer is out on 22nd July 2017 and it hits 9.6 million views on YouTube.